Building a global brand with organic traffic is a complex and difficult process, but Powerhouse Internet Marketing is up to the challenge. Businesses often see the internet as a true “global” connector with the ability to introduce their brand, services, and products to a wide range of people from all over the “world wide web.” Increasing numbers of people in developing countries are gaining fast and reliable internet access and transforming the way businesses generate international revenue. 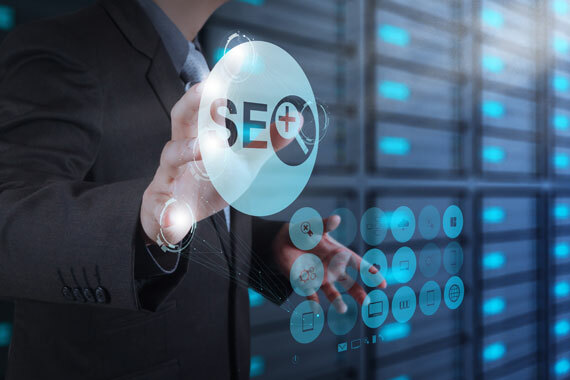 Unfortunately, search engines are constantly working to localize search results making it increasingly difficult for your business to generate true international scale organic reach. Google and other search engines attempt to keep search results limited to topics, areas, and businesses of local or regional interest. With both IP-address specific location gathering and GPS-enabled mobile device location playing into the search results algorithm that Google uses to display results they believe are relevant to the audience searching. Use Locally Hosted Servers With Local IP Addresses that will allow you to accurately target another country. Right now, search engines take into account the IP address of your web server. For instance, just having a “.ca” domain isn’t enough to target Canada. Your server actually needs to be there. Develop An Appropriate Multi-Lingual Subdomain Structure that uses local language web copy that’s not just translated, but built from the group up and optimized to the foreign language SEO standards built by major search engines. Build Links To Local And Regional Websites. Link building and backlink quality are key factors in local SEO. Your business needs the resources to build backlinks with high quality websites that are in the international market you are targeting. Tag Content Appropriately To Avoid Duplicate Penalties. Once you’ve developed an international SEO strategy with (often times) similar content on multiple websites indexed and hosted in different localities, you need to use the proper international SEO link tags and code to guarantee that Google won’t punish all of your websites as duplicate content. Extensive consideration goes into international SEO strategy. These recommendations are just the beginning. We’re ready to develop a complete international SEO strategy for your business right now leveraging the latest link building strategies, international indexing requirements, and Google algorithm metrics so your business can experience an influx of international prospects. Organic search and the ease with which prospects can find your business through search engine results (and not advertising) are the most important factors related to business growth and success on the local and international level. Our international SEO practices, strategies, and proven techniques borrow from the tested principles we use to boost local and regional search engine ranking and apply them to the new, unique rules that search engines have for different geographic locations, regions, and cities around the globe. Get started right now with a no-risk consultation. Complete the information form below or contact us directly by telephone or email. We’ll provide a 100% free international SEO analysis for your business and help you determine the steps you need to take to gain recognition as a global brand. This is a difficult, resource consuming process that the majority of businesses can’t accomplish in-house. Fortunately, Powerhouse Internet Marketing is up for the challenge! Contact us today to get started!